...QUICK ACESS TO BOUNTIES... .TWITTER. .FACEBOOK. .INSTGRAM. .CONTENT. .TRANSLATION. .TELEGRAM. .SIGNATURES. █ 1. Negative trust members i.e. using multi-accounts, cheating, using someone else's work and spamming, multiple signatures for the same users, or any kind of unethical behavior will be banned from the campaign, and payment will be denied. █ 6. If you enter the campaign 2 days before the end of the week, you will be accepted next week. Thus, submitting a report for the current week won't give you a stake. █ In the YouTube task, Legacy Ambassadors Social Bounty hunters will be rewarded for crating positive and informative videos about C2Legacy C2L. Videos can be with or include interviews of friends and colleagues explaining the importance of passing legacy or endorsing C2Legacy C2L. If you are a big media or a trendsetter, please contact our PR management team at, ncuttonaro@thelinkbuilders.com. You can help us create an article or video blog on a popular media website or outlet. For example, you can write an article about C2Legacy C2L in Forbes, Coindesk, Bitcoinist, or in any other media relevant to finances and cryptocurrency. █ You’ve to translate the whitepaper, BTT thread and Bounty thread in selected language. █ Participators will receive a reward for carrying the C2L signature. █ Discussion Boards we do not count ,Games and round, Micro earnings, Politics and Society, Off-topic, Archival, Posts in "tipster" threads, Auctions, Lending, Beginners and help. Press and Investor based games are good. 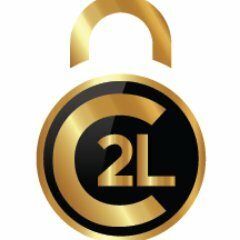 [center][url=http://c2legacy.io/]C2Legacy│Don't let your crypto die with you.